Happy Star Wars Day! SOLO: A Star Wars Story comes out three weeks from today (ahhh!) and tickets are now on sale! 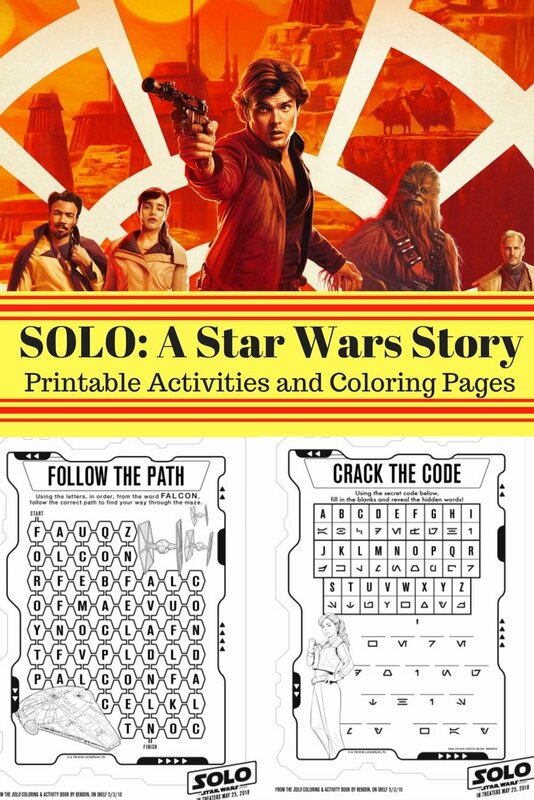 In honor of the holiday and ticket release day, this post is dedicated to the top 5 reasons why I am going to see SOLO (and why you should, too!). We’ve also got some printables for you to enjoy! Before we get into the reasons why I’m going to see SOLO: A Star Wars Story, let’s watch the trailer again together. 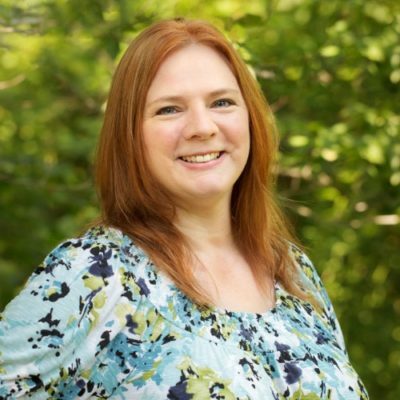 You can also stop by my trailer breakdown post by clicking here. 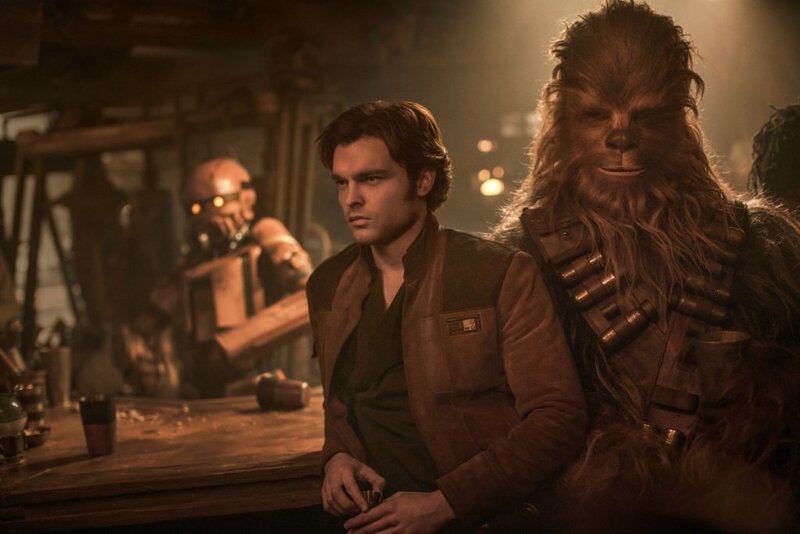 The trailer for SOLO: A Star Wars Story is amazing, but that’s not the only reason why I’m going to see this movie. Here are 5 reasons why I plan to see the latest addition to the Star Wars saga. I mean, come on, Han Solo has been a favorite character for forty years. And I admit, we would all probably like Harrison Ford to reprise his role and just pretend he looks twenty years old out of sheer stubbornness. However, I am confident that Alden Ehrenreich will do this character justice. I mean, have you seen the trailers? I am so excited to see how Han develops his friendship with other key characters, Chewie and Lando. I’m also excited to see how Han develops into the character we know and love today. It’s no secret that Kylo Ren is one of my favorite characters, so I can’t wait to see how Han’s younger self compares to his son. The fact that I get to see an entire movie dedicated to one of the most popular pop culture character is definitely the first reason why I’m going to see SOLO. Character development is the most important aspect for me when it comes to stories, so seeing how familiar characters develop during their younger years is the second reason why I’m going to see SOLO: A Star Wars Story. Not only do we get to see a younger Han Solo, but we also get to see a younger Chewie and Lando Calrissian. 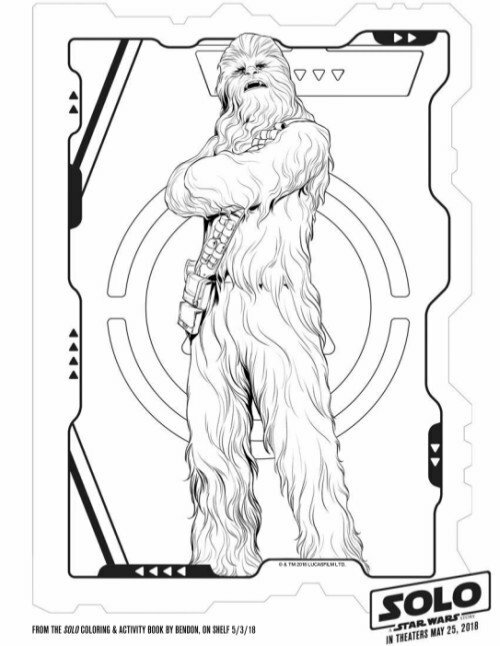 We know from the trailer that Chewie is 190 years old, but that doesn’t mean he’s done developing into the character we know from the original trilogy. And what about Lando? We know Lando as the ally-turned-back-stabber-turned-ally-again from the original trilogy, but I am excited to see another side to this character. And while it might not be a character exactly, I am also excited to see the Millennium Falcon in its glory days. We know it as the “piece of garbage” in the original and sequel trilogies, but what about when Han first acquired it? I wonder if we’ll get to see Han making notes of any improvements he could make to his future ship? I mean, can we just stop for a moment to consider the amazing actors that will appear in SOLO in three weeks? We’ve got established actors like Woody Harrelson, Paul Bettany, and Emilia Clarke. We’ve also got up-and-coming actors like Alden Ehrenreich and Donald Glover. I cannot wait to see all of these amazing people come together in a single movie to tell us yet another exciting Star Wars story. 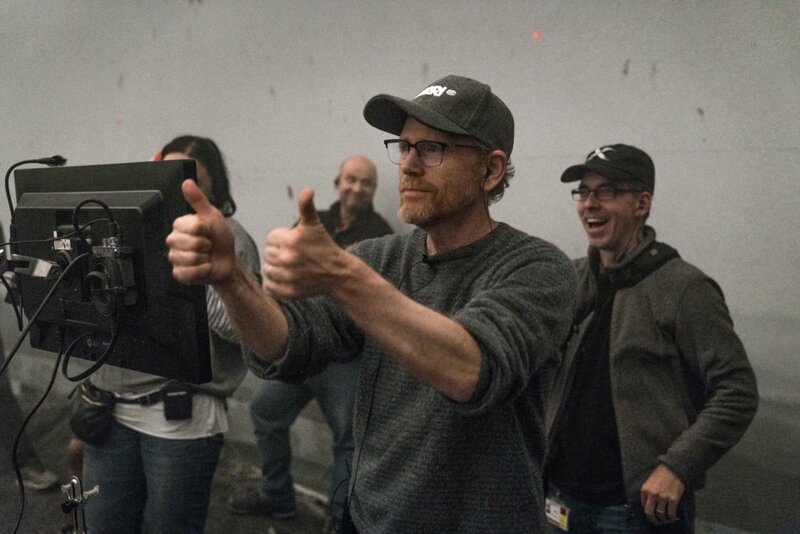 Ron Howard is an amazing actor and director (and the father of an amazing actress), so how could the fact that he’s directing not be one of the reasons why I’m going to see SOLO: A Star Wars Story? Howard replaced the original directors because the original directors wanted the movie to feel more like a comedy, so that tells me Howard takes this movie seriously. I cannot wait to see what direction he ended taking it in. Not to mention, Howard is one of George Lucas’s good friends. Not only is Ron Howard George Lucas’s close friend, but Lucas himself even had a small role in the creation of SOLO. Lucas actually visited Howard on set. According to an interview published by Entertainment Weekly, Lucas even helped Howard direct a particular scene in the movie. You can read the interview by clicking here (and see how Harrison Ford even helped out in this movie). Lucas might not be as involved with the Star Wars franchise since Disney bought Lucasfilm, but he definitely had a hand in the creation of SOLO. That alone is definitely enough to convince me to see SOLO: A Star Wars Story. 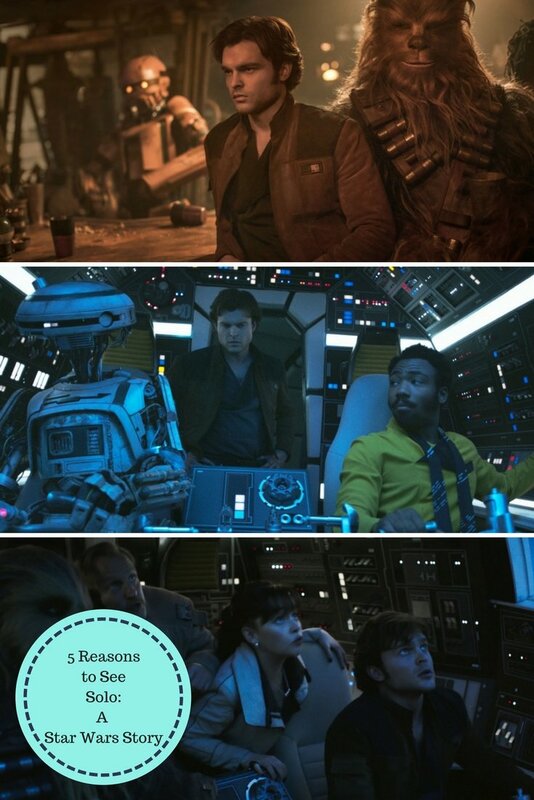 So there you have it: my top five reasons why I am going to see SOLO: A Star Wars Story. 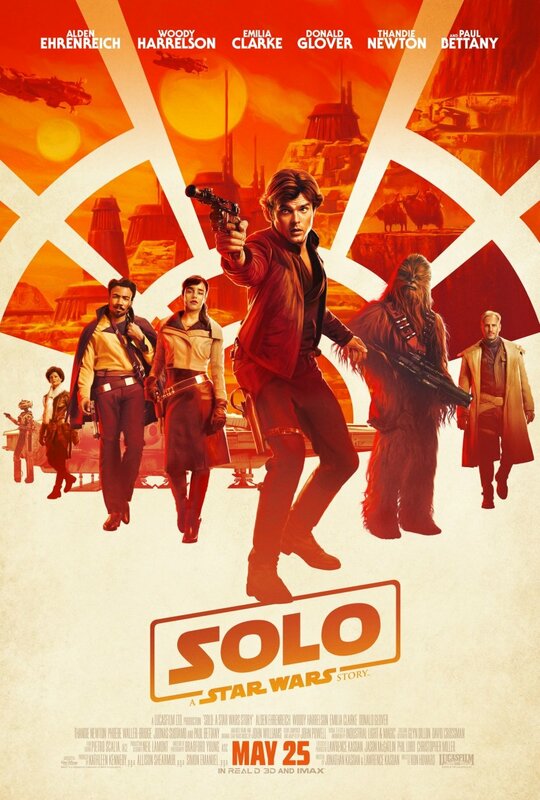 SOLO: A Star Wars Story comes out in theaters May 25th and tickets are now available. Get your tickets now at Fandango! What are some other reasons you plan to see this film? Drop me a comment! I’ve got some fun printables, like coloring pages and activity sheets, for you! Just click the links below, and you’ll be able to print out full-sized pages. I am really looking forward to this! I didn’t know Ron Howard was directing (clearly, I have been living in a bubble)–I love him! Great post! I love your 5 reasons why and your coloring and activity pages!